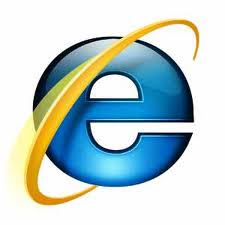 Microsoft has unveiled its latest version of Internet Explorer (IE9) beta at the Beauty of the Web event yesterday. Microsoft is trying hard to maintain its lead in the browser market share over its rivals like Chrome and Firefox with the latest release of IE9.It has changed browser interface completely to a more cleaner and new look by removing all the icons and buttons and keeping most essentials of controls ( something similar to Chrome).It is comparatively faster to previous IE versions and loaded with Bing as the default search engine. IE9 browser will only work on Windows computer with OS versions higher than Visa SP1 ( obviously no XP Support ). Check out the Microsoft Blog for more details, screen shots and a videos. « IPod Nano watch, will you wear one ?